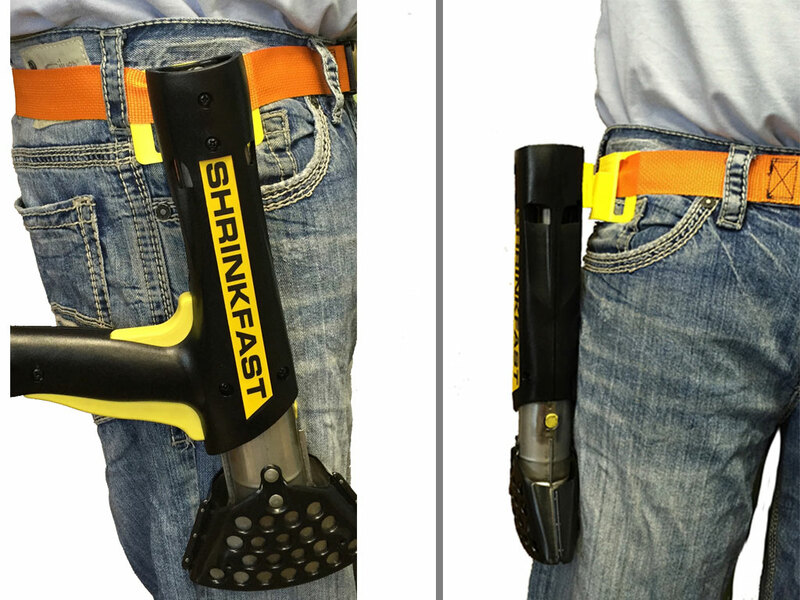 The Shrinkfast Belt Clip supports your heat tool while you are on the move. Providing high-mobility security and access to your heat tool is paramount to an on-the-go workflow. 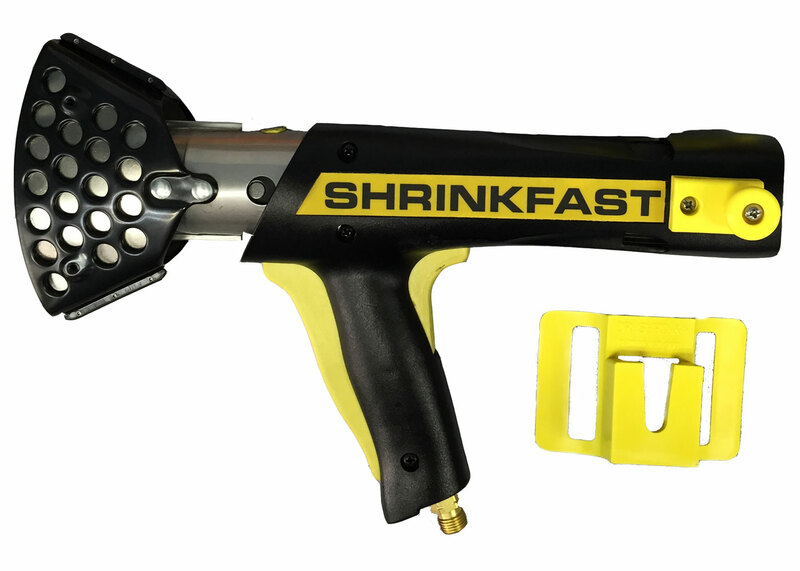 Installers can now keep his or her Shrinkfast 998 right on the hip so you can have fast action and rapid application of heat while applying strapping, heat welds, or ventilation. The utility of the belt clip doesn't end there, though! This unit provides protection against mishandling while moving through the shrink wrap process - reducing overall cost and time spent on a project. 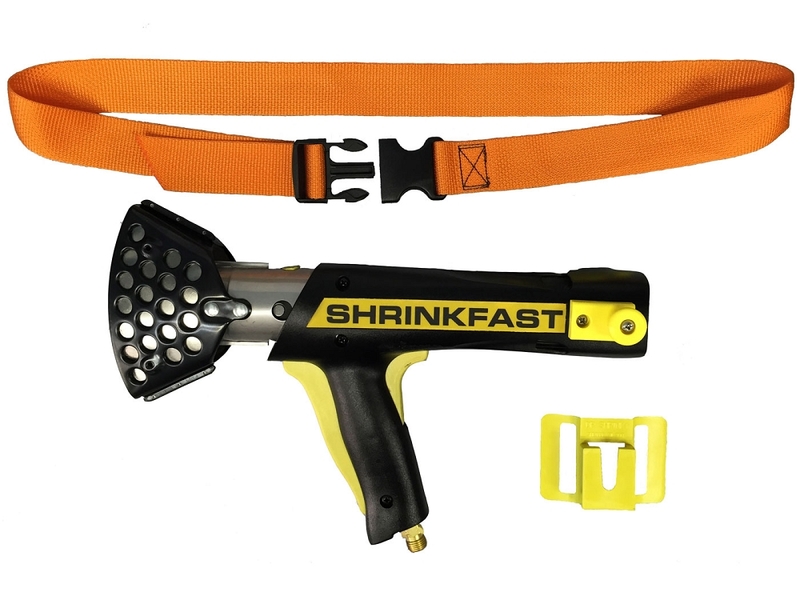 The belt clip comes with an adjustable, orange belt and yellow, slip-on clip that is easy to install and use on any belt.